Indeed, judging from enthusiastic appraisals from the likes of Austin and others, the bungalow appeared to be a uniquely Californian and American product. Yet the term “bungalow,” its origin, and the numerous variations and styles, can leave the most assured of housing experts dizzy. “All that bungles is not a bungalow,” concluded C.E. White, author of the creatively titled 1923 work “The Bungalow Book.” 2 Both a housing type and architectural style, the bungalow ranged from the simplest of dwellings to the “high art paradigm of the Arts and Crafts movement” of the Greene Brothers’ Gamble House. White himself considered numerous styles to fit under the “bungalow” designation. 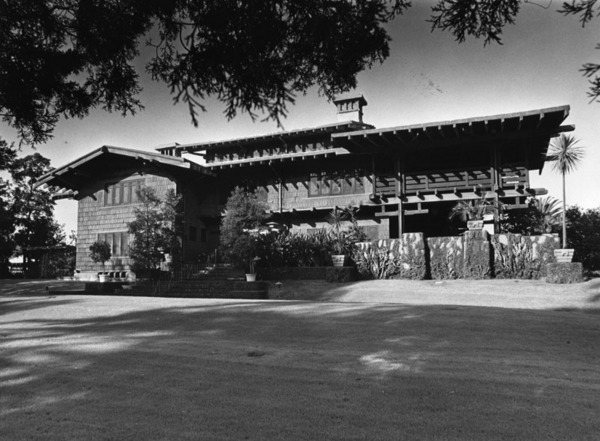 This included the Prairie Style, produced by Frank Lloyd Wright and his followers between 1900 and 1930, and Spanish Colonial style, popularized by San Diego’s 1915 Panama California Exposition, that quickly took off in popularity by the 1920s in California. For White it was the interior floor plan, committed to efficiency and flow, that defined the bungalow, rather than its exterior ornamentation and organization. Housing reformers warmed to the bungalow, since it appealed to ideas regarding domestic space, nature, and a gendered spatialization of the home’s interior. 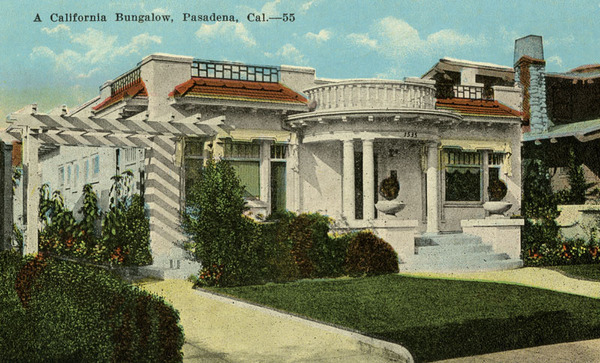 Progressive-era feminists appreciated the bungalow’s simplicity and efficiency, while capitalists could trumpet that the housing form emphasized rugged individualism over more communal or socialistic architecture that apartments offered. 7 The bungalow embodied respectability, privacy, and homeownership for a burgeoning middle class, and a financial foothold amid an expanding metropolis for more proletarian contemporaries. Still, during roughly the same period, the bungalow also served the needs of the working and middle class arrivals. 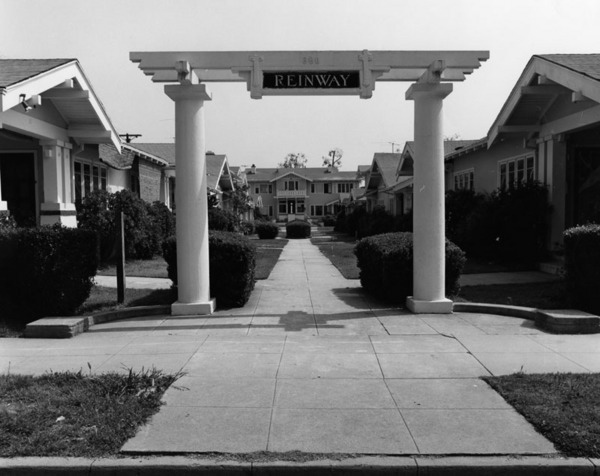 Carey McWilliams, who referred to the wealthy midwestern and eastern migrants as “tourists,” described this stratum of migrants as “homeseekers.” 18 Smaller and more austere than their Pasadena counterparts, these bungalows, many of them in L.A.’s eastside communities, provided simple attractive homes to working class residents. By 1910, 36% of black Los Angeles owned their homes, compared to only 2.4% in NYC, 29.5% in Oakland, 11% in New Orleans, and 16.5% percent in Birmingham, AL. 22 Though LAIC and other contributed to this growth, they also represented a broader trend among urban housing developers: begin one’s business in racially mixed downtown communities, then later expand into the racially restricted suburbs of the 1930s, ’40s, and ’50s. Working class suburbs, in part because of the bungalow, also blossomed. In the 1920s, migrants from the Midwest and the South came for work in the expanding industrial sector of interwar Los Angeles. Many settled in developing suburbs near growing industries. As demonstrated by Becky Nicolaides in “My Blue Heaven,” South Gate represented one such suburb. By the late 1920s, 15 major industries were located either in or adjacent to South Gate. 23 Families bought land, pitched tents, and built homes. Predictably, modest bungalows, consisting typically of one bedroom, a living room, a kitchen, and a bathroom, dominated the local landscape. 24 As Nicolaides points out, many working class suburbs placed value in the land use or productivity of their home, rather than its worth as a commodity in speculative real estate markets. Predominantly wage earning, much of South Gate’s early citizenry constructed their own homesteads, utilizing backyard gardens or domestic industries to make ends meet. 25 The bungalow made these activities possible, while delivering the independent ideal of homeownership for working class laborers. For some observers, more than a little “East Coast bias” accounted for this resistance. “Probably the fact that the bungalow was first produced in the West, and in Southern California …” noted one editor, “have led Eastern architects to be a little snobbish about it.” Although, to be fair, some from the East celebrated the bungalow, such as editor of the Chicago based American Builder, Frederick T. Hodgson: “It is not too much to say … that these bungalows are on the whole the best type of cheap house that has been erected in large numbers in this country since the new England farmhouse went out of fashion,” he reflected. 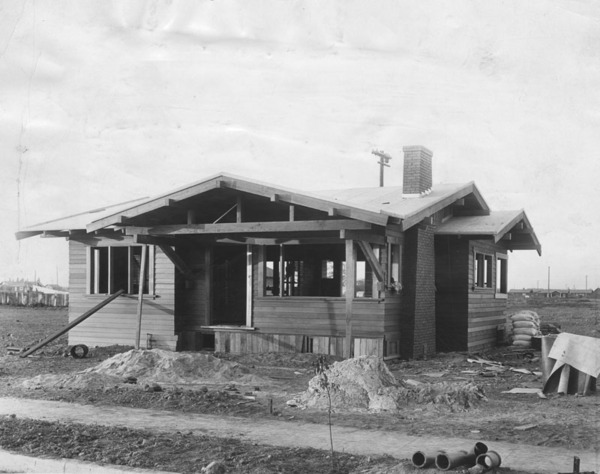 In South Gate, bungalows remained a staple of its built environment. However, much like Los Angeles since WWII, its demographics changed, and a community that once denied non-whites access to its homes has become defined by them. Today, middle and working class Mexican and Mexican Americans reside in the many bungalows, built by the suburb’s working class arrivals of the 1920s. Nor is this unique to Southern California. The bungalows of Chicago’s Clybourne Park over time came to symbolize not their original white inhabitants, but the stalwart character of the city’s black working and middle classes. Nearly 100 years after the bungalow first left California for parts unknown, it continues to occupy a central place in American lives — white, black, Asian, Latino, Midwestern, Eastern, rich, poor, and everything in between. Considering its origins in India and the face of multicultural Southern California today that seems about right. 1 Mary Austin in Anthony King, The Bungalow: The Production of Global Culture, (New York: Oxford University Press, 1984) pg. 145. 5 John Mack Faragher, “Bungalow and Ranch House: The Architectural Backwash of California” Western Historical Quarterly 32.2 (Summer 2001), pg 161. 6 Anthony King, The Bungalow, pg 150. 9 Lawrence Culver, The Frontier of Leisure: Southern California and the Shaping of Modern America, (New York: Oxford University Press, 2010) pg. 56. 13 Mike Davis, City of Quartz: Excavating the Future in Los Angeles, (New York: Verso, 1990) pg. 27; Lawrence Culver, The Frontier of Leisure: Southern California and the Shaping of Modern America, (New York: Oxford University Press, 2010) pg. 57. 14 Lawrence Culver, The Frontier of Leisure: Southern California and the Shaping of Modern America, (New York: Oxford University Press, 2010) , pg. 57. 15 John Mack Faragher, “Bungalow and Ranch House: The Architectural Backwash of California” , pg. 153. 18 Kim Hernandez, “‘The Bungalow Boom’: The Working Class Housing Industry and the Development and Promotion of Early Twentieth Century Los Angeles”, Southern California Quarterly 92.4 (Winter 2010-2011), pg. 352. 19 Ibid. pgs. 357 – 359. 23 Becky Nicolaides, My Blue Heaven: Life and Politics in Working Class Los Angeles, 1920-1965, (Chicago: University of Chicago Press, 2002) pgs. 24 – 26. 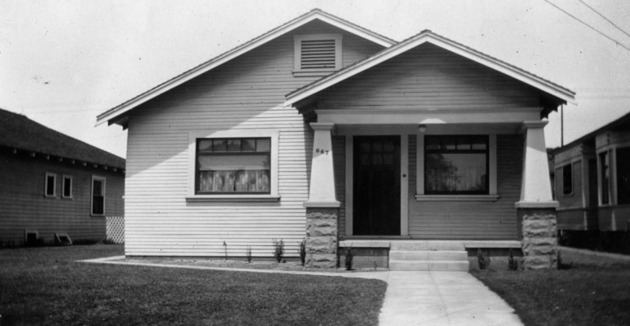 26 Todd Gish, “Bungalow Court Housing in Los Angeles, 1900 – 1930: Top Down Innovation? Or Bottom-up Reform?” Southern California Quarterly 91.4 (Winter 2009 – 2010), pg 265. 27 Becky Nicolaides, My Blue Heaven, pg. 26. 28 Anthony King, The Bungalow, pg 153. 29 John Mack Faragher, “Bungalow and Ranch House: The Architectural Backwash of California”, pg. 161. 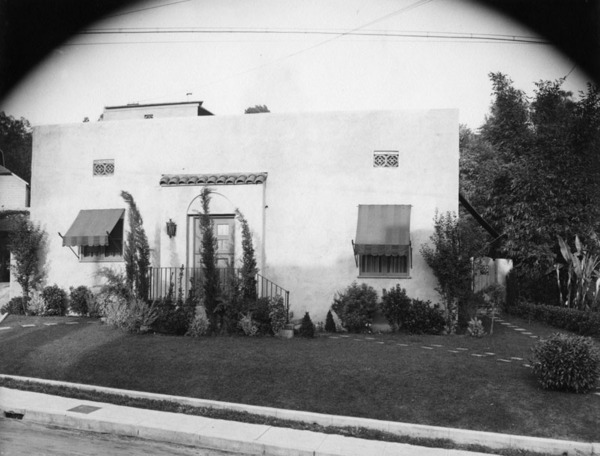 30 Todd Gish, “Bungalow Court Housing in Los Angeles, 1900 – 1930”, pg 369. 31 John Mack Faragher, “Bungalow and Ranch House: The Architectural Backwash of California”, pg. 160. 32 Anthony King, The Bungalow, pgs. 149, 155. 33 Kim Hernandez, “The Bungalow Boom”, pg. 387.
friends ans additionally sharing in delicious. And certainly, thank you in your sweat!